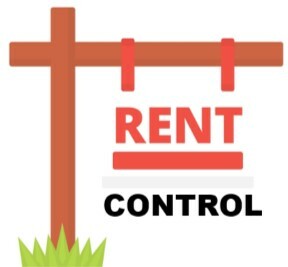 LOS ANGELES – The Los Angeles County Board of Supervisors voted Tuesday to extend a temporary rent-control ordinance for unincorporated areas until the end of the year, limiting rent increases to 3 percent a year and placing restrictions on tenant evictions. The vote was 4-1, with Supervisor Kathryn Barger dissenting. The ordinance was originally approved in November as a stopgap measure to limit rents while the county considers longer-term solutions. Supervisor Sheila Kuehl, who backed the motion extending the ordinance, also recommended creating a Rental Review Board to oversee rent stabilization and tenant protections. “Many, many people in Los Angeles County are having difficulty just accessing housing,” largely due to soaring rental rates, Kuehl said, citing a recent study showing that economic concerns outpace mental illness as a factor in homelessness. Kuehl said a 2018 UCLA study “indicated that more than two-thirds of county residents favored laws to protect renters, and we are seeing that momentum being made official all over the county. Rent stabilization is the law in West Hollywood, Santa Monica, Beverly Hills and the City of Los Angeles, and recently, other cities have adopted rent stabilization or other measures to protect renters, including Glendale, Long Beach and Inglewood,” she said. “Other cities are seriously discussing what’s needed. The county can only protect 10 percent of the local population, so I’m happy to see other cities taking up this important issue to stabilize communities and curb the number of people falling into homelessness due to skyrocketing rents,” she said. A coalition of renters and rental control advocates rallied before the board meeting as Unincorporated Tenants United and then appeared before the supervisors. “These increases are pushing working families out of their homes and into the streets,” one advocate told the board. Legal aid representatives said the rent freeze has bolstered their ability to fight evictions. Kuehl has estimated that 200,000 renters are protected by the county ordinance, which prohibits rent increases of more than 3 percent in any 12- month period for any rental units built before Feb. 1, 1995. But opponents contend the limits on rent increases unfairly interfere with building owners’ ability to do business. One landlord said the restrictions on evictions leave him unable to oust problem tenants and said the housing crisis was the result of years of misguided regulations. “The burden for this solution cannot be borne on the backs of small apartment owners,” Rex Nishimura told the board. Others said the rent limits are unfair and leave them unable to improve properties. “We’ve been frozen at rents now that are hundreds of dollars below our neighbors,” Robert Greenless said. Barger said she was as focused as her colleagues on helping people stay in their homes, but said she does not agree with rent control. “I believe that rent control will exacerbate the situation,” said Barger, adding that she would focus instead on expanding the supply of housing to increase competition and drop rents. Supervisor Janice Hahn noted that there are many reasons for homelessness, but until more housing supply was available, she would support rent stabilization. “Rent stabilization is one more tool we have in the meantime,” Hahn said. Hahn also reminded everyone that the ordinance is temporary and would inform, but not necessarily dictate, the language of the final ordinance. The board also approved up to $1.4 million on software to track rental rate increases and evictions, create a preservation database and maintain a centralized waiting list of requests for housing resources across various agencies. A report back on implementing a Rental Review Board is expected in six months. Residents and property owners can get more information about the temporary ordinance by calling the county Department of Consumer and Business Affairs at (833) 223-RENT (7386), or by going online to rent.lacounty.gov.